Special Counsel Robert Mueller is using a grand jury in Washington, D.C., as part of his investigation into Russian interference in the 2016 election, a clear sign that the probe is ramping up. CBS News has learned that special counsel Robert Mueller is using a federal grand jury – in part to issue subpoenas to compel documents and information as part of his Russia investigation, reports CBS News' Andres Triay and Pat Milton. The investigation includes Russian interference in the election, Russian hacking, Russian influence, and possible financial wrongdoing. This is according to individuals familiar with the matter. It is unclear whether a new separate grand jury has been impaneled by the special counsel. It is possible Mueller is using an existing grand jury. CBS News correspodent Jeff Pegues told "CBS Evening News" anchor Anthony Mason the investigation is "intensifying" because the special counsel is "adding to his team." "We know investigators are trying to follow the money," Pegues said. "But (they are) also investigating whether there were any improper contacts between the Trump campaign and Russian operatives." Grand juries give prosecutors the ability to put witnesses under oath if there is evidence of a crime. Mueller and his expanding team will also have the power to seek indictments and subpoena documents. A grand jury had been part of the FBI's investigation into former national security adviser Michael Flynn and was impaneled in Virginia, the Journal reported. That probe has since been taken over by Mueller. It's unclear whether Mueller impaneled a new grand jury or is using an existing one. The Wall Street Journal reported Thursday that a grand jury was impaneled in Washington several weeks ago. White House press secretary Sarah Sanders responded to the Journal's report by saying in a statement that former FBI Director James Comey had "said three times that the president is not under investigation, and we have no reason to believe that has changed." "This is yet a further sign that there is a long-term, large-scale series of prosecutions being contemplated and being pursued by the special counsel," Stephen I. Vladeck, a law professor at the University of Texas, told the paper. "If there was already a grand jury in Alexandria looking at Flynn, there would be no need to reinvent the wheel for the same guy. This suggests that the investigation is bigger and wider than Flynn, perhaps substantially so." 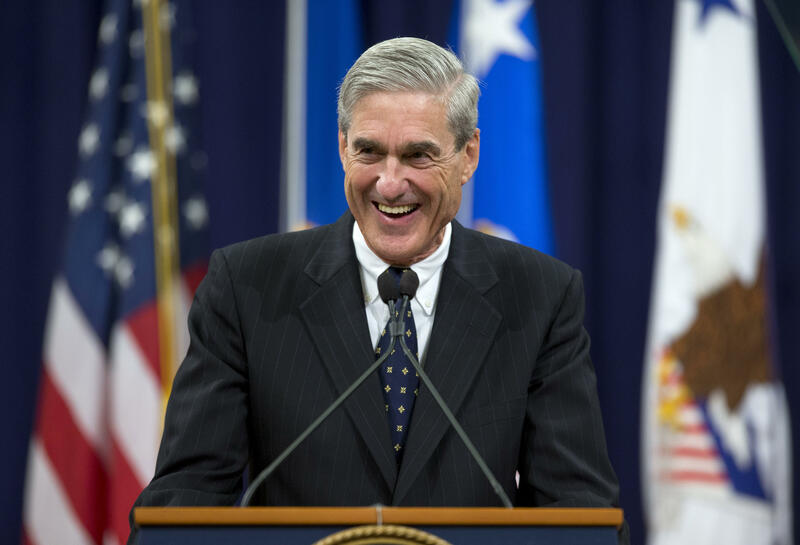 The existence of the grand jury does not mean that Mueller will necessarily bring charges, former federal prosecutor Thomas Zeno told the Journal, but it also shows he is "very serious." "He wouldn't be doing this if it were winding down," Zeno said. President Trump has repeatedly called the investigation into Russian interference, and the alleged connections between his campaign and Russian figures, a "witch hunt." He has also suggested that he might attempt to fire Mueller, a former FBI director whose investigation falls under the purview of the Department of Justice. In response, Congress is currently considering bills that would make it harder for Trump to fire Mueller. Deputy Attorney General Rod Rosenstein appointed Mueller special counsel in May, and Mueller was given a broad mandate to investigate and prosecute any potential crimes he uncovered. The appointment came after Mr. Trump fired then-FBI director James Comey and Attorney General Jeff Sessions recused himself from the investigation, delegating oversight of the probe to Rosenstein. Ty Cobb, a member of Mr. Trump's legal team, said he was unaware of the existence of the grand jury until he was notified by the Journal, noting "grand jury matters are typically kept secret." "The White House favors anything that accelerates the conclusion of his work fairly ... The White House is committed to fully cooperating with Mr. Mueller," Cobb said.